New elevators in Salt Lake City can make your home or business more convenient and accessible. If you want to make the most of your investment, do some research and choose the best elevator for your needs. Think about the size of your home and how big you want your elevator to be, then talk to a specialist to make sure you’re heading in the right direction. You should also consider elevator maintenance needs. Keep reading for a closer look at these tips for choosing a high quality elevator. Quality elevators come in many different sizes, but your home or place of business only has so much room. When you start looking for a high-quality elevator, think about what your space can handle. An oversized elevator can make for an awkward fit, and can mess with the dynamic of your business or living space. An undersized elevator, on the other hand, may not be able to carry an adequate amount of weight. 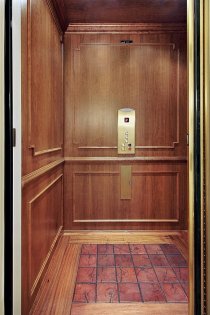 The size of your elevator in relation to your space can substantially impact its function. You should talk to a professional when you set out to look for an elevator. Your elevator specialist can help you choose the best unit for your needs, and he or she can even make sure it fits in with the aesthetic style of your home. Be sure to talk to an experienced professional who can help you make the most informed decision possible. Different types of elevators have different maintenance requirements; this is a crucial factor to consider because proper maintenance is necessary for efficient function. Be sure to learn everything you can about the maintenance requirements before making a purchase. That way, you’ll better understand how to keep your elevator in top shape. Sometimes an elevator in Salt Lake City is more than just a convenience; for those who experience limited mobility, an accessibility elevator can help make life richer. These types of elevators can be found in commercial spaces and residential homes, indoor and outdoor. There are several different kinds of accessibility elevators to choose from, including stair lifts, wheelchair lifts, and package lifts. Read on as we shine the spotlight on accessibility elevators. Whether you’re in a department store or your living room, it can be difficult to get to other floors if you have limited mobility. A stair lift consists of a seat that brings you from one floor to another at a comfortable, steady rate, and can be fit to work on most staircases. If a stair lift does not quite work for you, a wheelchair lift may be a better option. This type of accessibility elevator will safely transport you to an upper or lower floor, and can be used in both commercial and residential environments. A package lift serves as an accessibility elevator in the sense that it limits the risk of strains, aches, and injuries when moving cargo. Considering the height of today’s buildings, it can be difficult to imagine a life without elevators in Salt Lake City . The invention of residential, commercial, and accessibility elevators has changed lives and architectural styles over time. Watch this video for a quick look at the history of the elevator. The need for elevators did not become apparent until buildings started growing higher and higher; in fact, the invention of elevators allowed them to reach new heights. The elevator allowed people to reach upper floors of a building without being forced to climb staircase after staircase. This is even more significant for those with limited mobility. In addition to changing the way buildings are constructed and the way people navigate, the elevator inspired the use of hydraulics in a wide range of other applications. Have you been thinking about installing new elevators near Salt Lake City? If so, there are a few factors you should consider before it comes time to install your new unit. Be sure to pick the best style elevator for your existing design, and think about what you hope to get out of it. Only trust a high-quality elevator company with your installation to ensure a professional and efficient experience. Here are a few factors to consider when installing a residential elevator . A residential elevator can be a practical investment—especially if you have trouble getting up and down the stairs. However, residential elevators also come with their own aesthetic appeal. If you want to make the most of your new residential elevator installation, choose a design that fits in with the style you’ve already established for your home. Your elevator specialist should be able to walk you through your options and help you decide which ones are right for your home’s aesthetic. 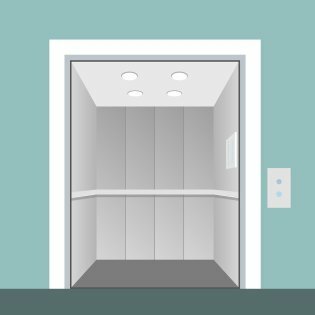 There are plenty of options to choose from when it comes to residential elevators, but they might not all be right for you. It’s helpful to understand what you are looking for in an elevator before making a purchase. This is one of the most important factors when looking at your choices. Think about the size of your home and determine what size elevator you are looking for, then consider whether or not you would like to add handrails or other features. Choosing the right type of residential elevator for your needs is an essential part of the equation, but never underestimate the importance of quality installation. Make sure you hire a competent, experienced, and qualified elevator specialist like Carson Elevator to install your elevator. Avoid the temptation to go the cheap route when it comes to elevator installation; go for quality instead.